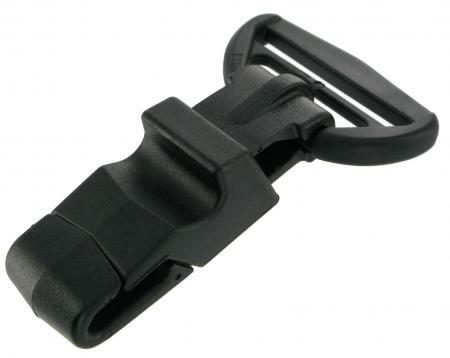 Wide Plastic Trigger Hook Black 7.5cm long. This replacement trigger hook suits many shoulder straps and is produced from tough nylon. It comes in a black finish only. It will accommodate a strap of 35mm in width. Overall length 75mm. Overall width 45mm.